Pope Francis’s visit to the peninsula, home to two million expatriate Catholics as well as the holiest sites of Islam in Saudi Arabia is a landmark one. He is due to make only two public addresses during the trip that would commence on Sunday. It started in Arabic with the words Al Salamu Alaikum (Peace be with you). He will spend less than 48 hours in the United Arab Emirates, which is fighting alongside Saudi Arabia in the Yemen war. The papal Mass in Abu Dhabi’s Zayed Sports City on February 5, is expected to draw some 120,000 people. In March, he will go to Morocco. In June 2018, he said he was following the “dramatic fate of the people of Yemen, already exhausted by years of conflict’’. He however appealed to the international community to seek negotiations “to avoid a worsening of the already tragic humanitarian situation”. “I don’t think the pope will be silent about what is happening in the region,’’ Bishop Paul Hinder, the Abu Dhabi-based Apostolic Vicar for Southern Arabia, said in an interview when asked if the pope would speak about the war. London’s African churches keep communities connected to their roots. “There may very well be some people who will criticise him for going (because of the war in Yemen) but I expect that he will raise this issue as he has previously,’’ a Western diplomat said. Francis will also visit Abu Dhabi’s Sheikh Zayed Grand Mosque, the largest in the country, and hold a private meeting there with the Muslim Council of Elders. 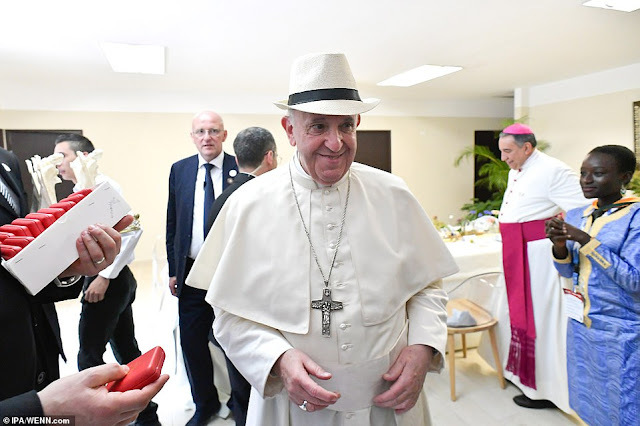 Vatican officials call Catholic communities such as those in the UAE “passport Churches’’ because the priests, like the mostly Filippino and Indian Catholics they minister to, are foreign and need permission to live and work there.